Warba Bank Heads Steadily Towards Innovation Breakthrough in the Islamic Banking Industry with a Qualitative Leap in its financing and investment portfolio locally and globally. Earnings Per Share of 2.3 fils at an Increase of 161 % Realizing a Profit growth before provisions at 225 % for the first nine months of 2017.  ‎‎Al-Houti: " Our comprehensive strategy started to pay off /we head steadily towards leading the investment and finance sector inside and outside Kuwait"
 ‎‎‎Al-Ghanem: "Warba Bank's successes in the first nine months of the year paves the way for strong results by the end of 2017. Our services are unparalleled winning customers’ trust”. By the grace of Allah, Warba Bank, the best investment and corporate bank in Kuwait, has announced that it has achieved remarkable financial results for the first nine months of 2017, reflected by its net profits which increased by 442% reaching KD 4.752 M Compared to KD 877 K for the same period last year. ‎‎The total assets of the Bank increased to KD 1.670 Billion due to its expansion strategy in the local and regional markets and investments in high quality and low-risk assets the financing portfolio witnessed remarkable growth reaching KD 1.223 Billion at an increase of 62 % over portfolio balance as on 30 September 2016. As a result of the high quality of the financing portfolio, the Bank's non-performing facilities reached 0.83% one of the lowest ratios prevailing in the domestic banking sector. The Bank's provisions coverage ratio for non-performing facilities reached 208% as on 30 September 2017. During the Third Quarter 2017, The Bank successfully paid the return on the perpetual Sukuk issued earlier this year thanks to the increase of the Bank’s net profit reaching KD 4.752 M for the nine months ending 30 September 2017. Al-Houti affirmed that Warba Bank continues to inject needed investments to introduce new unparalleled services and products that bring about a new developed era in the Islamic banking sector, in line with customers’ expectations and needs. 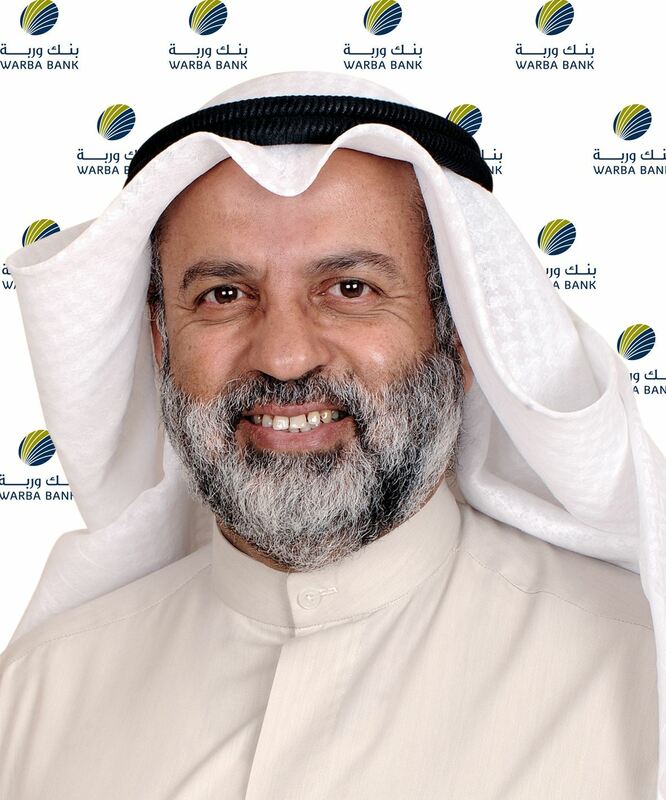 ‎‎He pointed out that Warba Bank is expanding its investment and financing plans on local and international markets giving examples of the Bank’s achievements in the first nine months in this respect. He further elaborated that the Bank’s Investment Banking Group, is currently studying investment opportunities in Kuwait and abroad which, will enhance the Bank' investment portfolio and provide lucrative returns to investors. ‎‎ ‎‎‎Al-Houti also pointed out that all indicators demonstrate high-quality performance of the Bank at all levels and departments. He confirmed that Warba Bank will exert all efforts for providing tailor-made financing services to boost the national economy by supporting its institutions. ‎Al-Ghanem pointed out that the growth and improvement come in line with the Bank’s strategy to create unique investment opportunities and exclusive financing solutions for customers. The Strategy also aims at supporting corporate and investment sector. Al-Ghanim noted that during this period, Warba Bank has been focusing its efforts on innovate flexible financing solutions and providing its customers with excellent digital banking services that have significantly contributed in adding value to their banking transactions. Rewarding Financing Plan and Growing Investment portfolio on regional and international level. Al Ghanem said that the first nine months of 2017 witnessed remarkable developments in the Bank's financing operations. The Bank has successfully accomplished a number of deals most notably a strategic financing deal in the aviation sector in Kuwait, where the Bank successfully undertaken a syndicated Sharia- compliant financing transaction, of USD 300 million (Kuwaiti Dinars 91.4 million) of which, Warba Bank's share represented US $ 80 million (KD 24.4 million). The deal is in favor of ALAFCO Aviation Lease and Finance Company to finance purchasing and leasing aircrafts over a period of three years. The Bank has acted as the deal Lead Arranger and Lead Manager. Warba Bank also participated in Sharia -complaint co-financing for the Ziraat Participation Bank of Turkey amounting US $ 236 million. As well, The Bank also participated in arranging the USD 400 million Sukuk issuance of the Dubai-based Miraas Holding Co. for Real Estate Development, where the Bank’s share in the transaction reached US $ 50 million. During the first nine months, Warba Bank has focused its efforts in reinforcing its global real estate investment plans by completing a number of real estate acquisitions in the United States. The Banks sees USA as a promising market for stable real estate investments since it is marked with high demand for premium residential units. The Bank has acquired ULTRIS facility located in Banyan Grove/Virginia, luxury beachfront apartments, in partnership with Bentall Kennedy, its real estate partner in USA. Earlier this year, Warba Bank initiated its collaboration with Bentall by acquiring the ManpowerGroup headquarters, an office building in Milwaukee, Wisconsin. In addition, Warba Bank has added another investment’s achievement to its global real estate investment portfolio by acquiring a residential facility, SUITE 2801, in partnership with Cortland Partners. Al-Ghanem stressed that these achievements are based on Warba's successful real estate expansion strategy, which relies on in-depth studies conducted by the investment sector at Warba Bank about the profitable global opportunities which it believes will provide steady and regular returns. 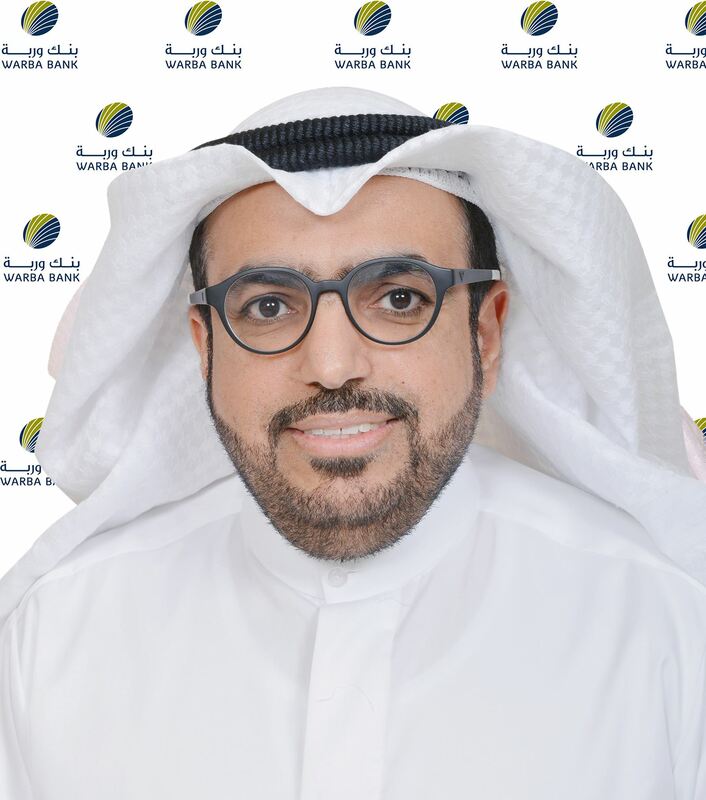 Pointing to the rapid development Warba Bank is witnessing in its digital infrastructure, Al-Ghanem said that Warba Bank continues to employ the necessary investments, to develop its digital infrastructure to best offer unprecedented services in the Islamic banking industry in Kuwait. In this regard, he pointed out that the Bank launched a number of digital services during the first nine months this year that have been built upon flexibility and convenience criteria; these services have been designed to save customers’ time while fulfilling their banking demands easily, through the Bank’s website “Warba Online” and Warba Application on smart phones. Al-Ghanem further elaborated that services available on Warba online, fall under the name of "Express". Warba Bank has recently added to its portfolio of digital services, the “Express Bill”, which allows customer to pay their mobile bills on a pre-set monthly date and amount specified in advance; while the new "Express share", allows customers to request to transfer money to their accounts from anyone with a mobile number and ATM card. 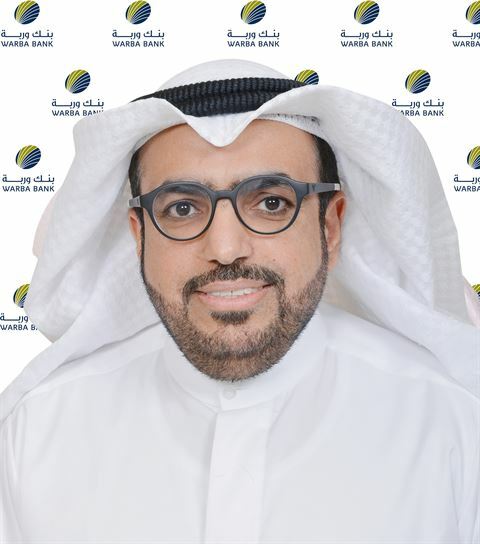 As part of Warba Bank financing solutions, during the first nine months of the year, the Bank launched a series of auto financing solutions through sealing strategic partnerships with leading international car brand dealers in Kuwait. Recently, the Bank signed a quality deal with Mohammed Nasser Al Sayer & Sons, the exclusive agent for Toyota cars in Kuwait, where the two parties signed the largest deal of its kind since the Bank incorporation. The deal is worth KD 9,702,250 million; whereby the Bank bought the stock of Toyota-Land Cruiser in Kuwait. Another milestone has been achieved by Warba Bank in this regard, through a fruitful cooperation with Mohammed Nasser Al Sayer & Sons, the exclusive general dealer of Lexus vehicles in Kuwait. The Bank launched a new offer for both customers and non-customers, on the new 2017 Lexus cars in accordance with Islamic Sharia. The exclusive promotion offers customers the possibility of settling installments of all Lexus 2017 models for up to 4 years, at the same cash price; that is in addition to several other benefits. As well, Warba Bank launched car financing campaigns under the slogan “Zero Profit & Flexible Installment Plan" in collaboration with a number of distinguished partners, notably Alghanem Motors, the exclusive agent of Honda vehicles in Kuwait, to finance the latest cars models from this Japanese brand, according to 0% profit and up to 5 years settlement period. The Bank sealed another deal with Ford Alghanem to finance the latest brands of Ford vehicles at flexible monthly installments for up to 5 years and 0% profit as well. Due to the success of first campaign undertaken by Warba Bank and A'ayan Auto Company - one of the leading car operational leasing companies in Kuwait - in respect of financing the latest car models without down payment and according to the same cash price, both parties have collaborated in a new campaign involving a wider range of most desired car’ models by customers. Thus making it easier and more flexible for individuals who wish to purchase the latest types of cars through convenient and flexible monthly installments. The financing offer doesn’t require a down payment and the first installment is only due after three months. In light of the significant success that Al Sunbula account achieved amongst customers, Warba Bank has recently topped up the account and launched “Al Sunbula Fixed Deposit”, the first of the kind in Kuwait. It provides customers with a high monthly profit rate and gives them the opportunity to enter the monthly draw of Al Sunbula account for every KD1000 deposited. The Islamic Sharia’a, the fixed deposit can be invested for a period specified by the client and may extend from one month to one year, provided that the minimum invested amount required to open the deposit, is KD 5k. customers can open Al Sunbula Deposit by visiting Warba Online or through Warba App on smartphones. Al-Sunbula deposit is characterized by the possibility of automatic renewal when due, and secures the highest percentage of expected profits, which may reach up to 3% for those who deposit for 24 months, depending on the deposited amount. Corporate Social Responsibility “CSR” Comes First. As part of its social responsibility program, which aims to support the various categories of the community, especially in the areas of health and education, Warba Bank sponsored the Kuwaiti First Surgical Association conference. Through its stand at the event, Warba Bank professional team provided all necessary details to the attendees about the Bank's services and financing solutions. The Bank also participated in the Open Day held by Kuwait Airways at its headquarters, during which Warba team worked directly with current and prospective customers by providing them with a thorough idea of the Bank's offerings. The Bank has also sponsored the honoring ceremony for outstanding students at the Kuwait Faculty of Medicine. Moreover, on the occasion of the new back to school season, Warba Bank participated in the "Ayalna Ba'ayuna" campaign organized by the Ministry of Interior to protect the health and safety of children at the beginning of the new academic year 2017/2018. Warba team visited a number of schools offering gifts to students. Al-Ghanem concluded: “Toward the end of the year, we are confident that Warba Bank is steadily heading to achieve the objectives of our strategy announced at the beginning of 2017 all over the banking areas particularly the investment sector and financing solutions. We are confident and promise to remain at the core of our investors and customers confidence by our outstanding performance. We are proud that our team is exerting its best endeavors to position the Warba Bank as the first choice for customers and investors longing for the best Islamic banking and investment services”.